Today saw the DJ and gadget internet shaken with further revelations of the death of Technics. But still no official press release has been put out by anyone at Panasonic. 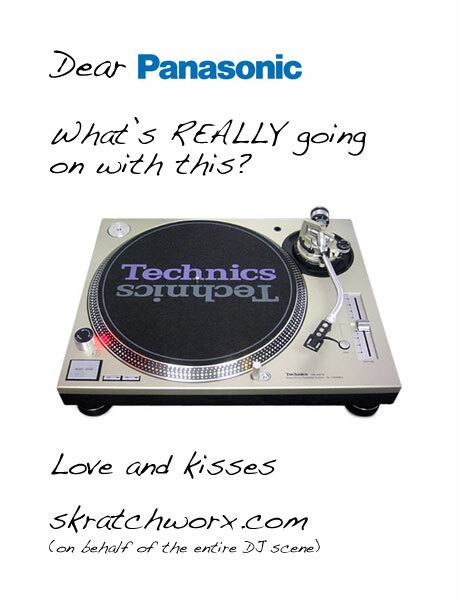 So I'm writing this letter to everyone with a say over the Technics brand. The situation is still far from clear so please read the following letter and put us out of our misery. Last week saw the convergence of the old school and new school - DMC will meet DVS in the next generation of DJ battles. And this in itself brings its own issues - namely switching smoothly from one DJ to another. 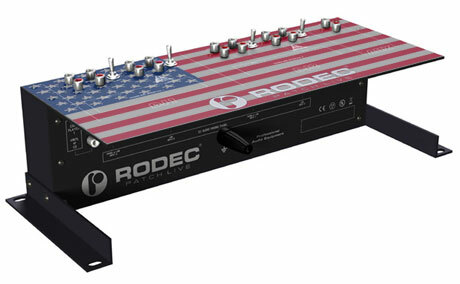 Thus the focus on such products is high, so the arrival of Rodec's Patch Live in the US couldn't be more timely. 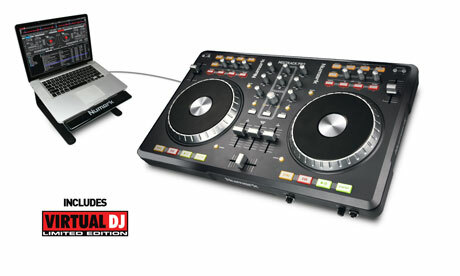 I'm not one for posting amazing deals on DJ gear, but what I have here is a deal that's too good not to post. And thankfully it should be available from all good retailers all over the world. 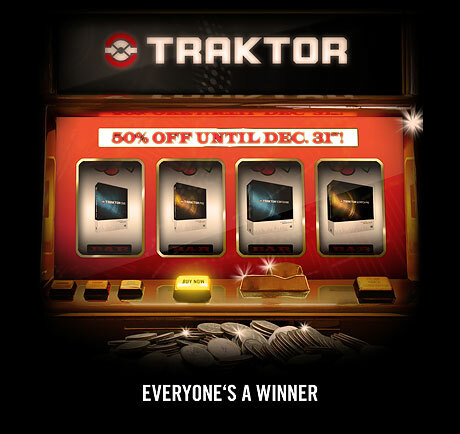 Native Instruments are having Christmas early and knocking more or less 50% off the entire Traktor software suite. I can't help but think that 2 channel mixers are misunderstood. The perception is that 2 channels means pretty much nothing but scratch mixer. This is patently wrong - no really it is, and the Stanton M.207 is a clear example of this. While it can scratch, it is much more about covering lots of bases and catering for all sorts of DJs� well at least those with 2 decks anyway. And I've given it an extensive battering just for you. We've been long time proponents of djdecks around these parts. So when everything fell into place and he was able to get PCDJ to fund further development and turn djdecks into PCDJ DEX. 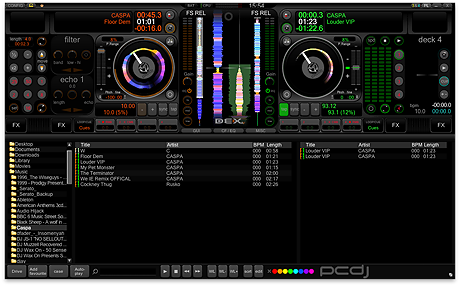 But now in a hugely ironic name twist, PCDJ DEX now has a Mac version - called PCDJ DEX For Mac. Just trips off the tongue doesn't it? Last night was the DMC 2010 world finals. From said finals came a few texts, but the one shown above - despite denials from DMC a couple of weeks ago - will come as zero surprise to anyone. 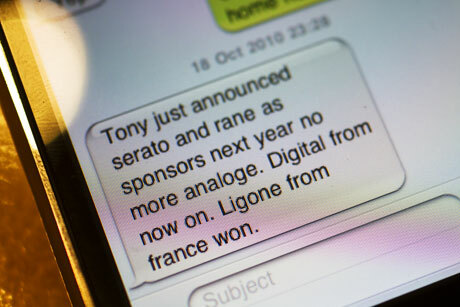 It seems that Tony Prince announced that with the help of Rane and Serato, DMC will go digital - entirely digital too if the text is to be believed. Serato have also confirmed this with an official if slightly vague news item too. UPDATE: This just in from Serato: "I can confirm that we endorse and support the use of real vinyl." UPDATE 2: Official DMC statement included. Part of my job is to see what you can't and don't. I can think of 3 clandestine rendezvous I had at BPM - 2 of which I can't tell you about at all, but I have been authorised to spill just a few beans about what Numark have up their R&D white jacketed sleeves - specifically where they are in the current fad/trend/demand for 4 channel controllers. While other global megacorps hurl immense resource at projects - or at least stop dicking around for 5 minutes between trade shows, there is another level of worker ants in the DJ industry - those committed to bringing you stuff for free just because they can. 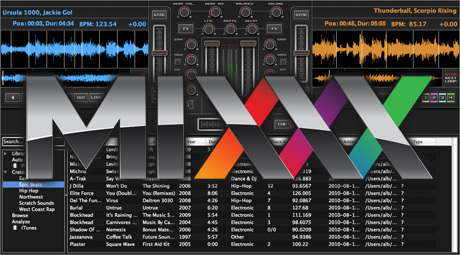 One such project is Mixxx - put together as a university project 8 years ago, Mixxx has been shaped and reworked into a solid product. And now v1.8 has been released, and importantly is free. This weekend (well Sunday and Monday) sees the DMC 2010 world finals take place at KOKO in London. The global battles are over, and while the finalists are checking passports, visas and making sure spare underpants are washed, many times word champion DJ Woody will be honing a new video set for a prime time 20 minute slot just before the winners are announced. You'll remember a little while ago that world DMC champion and Native Instruments endorser DJ Shiftee defied the laws of physics and squeezed 35 tracks into 90 seconds. A seemingly impossible task right? Well he did it and unbelievably 20 people actually managed to name all of the tracks. What a difference a day makes - when testing software that is. I had hoped to post a first look review at the spanking new version of Virtual DJ 7, but sadly the beta I had was sooo beta that I could barely get timecode vinyl or MIDI config to work. Thankfully, the full release version - just 3 days later - is considerably better and worthy of a few lines of firstlookiness. DJs have to start somewhere, and believe it or not, you can still pull off some stunning mixes with even the most basic of gear. 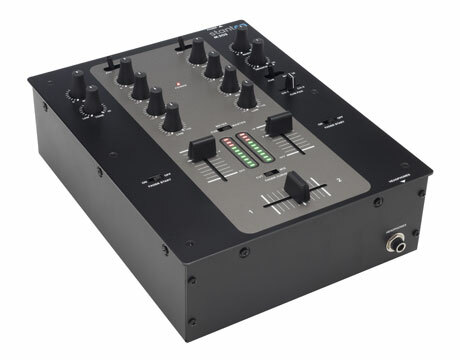 So please cast your eyes over Stanton's new and by their own admission entry level M.203 - the baby sibling to their existing M.207 mixer. 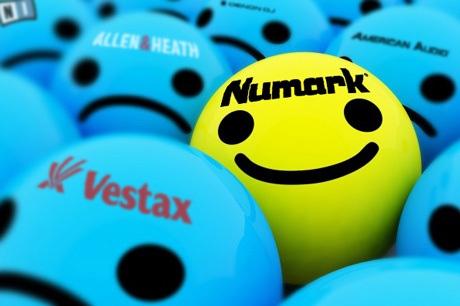 As previously discussed, Numark blitzed the start of the year, but have put the R&D brake on a little, and are concentrating on keeping the cashflow rolling with a handful of cost effective controller releases. So despite the lack of fresh nextlevelness on display, the Numark stand was still pretty busy, and people entering the show were kept very entertained by DJ Rasp battering the V7s in fine style. Walking around BPM and having endless chats with people, the common question was "seen anything good?". Of course I've seen heaps of interesting things, and by rights I should say that the Native Instruments S4 of A&H xone:DB4 caught my eye the most. But I already knew about them, so my attention was grabbed by the previously unseen Vestax Pad One. And there's more info out there now for you to look at. Having established that the launch of Allen & Heath's xone:DB4 was somewhat muddied by the leak and the assumption that it must have been some sort of Ableton related controller, the lasting impression is that "it's just another 4 channel mixer". So let's try and set the record straight and give you a real feel for the monster that is the xone:DB4. Denon have an annual tradition, affectionately known as D-Day, when they spill their R&D guts all over the DJ scene and unveil all the goodness they've been working on over the last year or so. 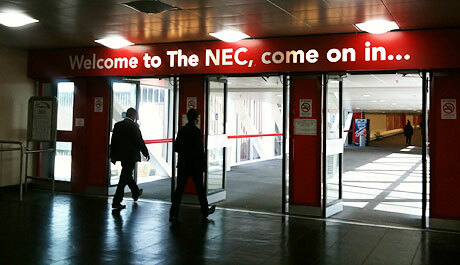 BPM 2010 saw the first European showing of said goodness in the shape of the on-trend DN-MC6000, pocket sized DN-MC2000, 2 channel DN-X600 and the much hyped hybrid mode for their DN-S3700 media player. * For comedy effect only. They're good mates. You have to feel sorry for Allen & Heath. Having successfully teased the xone:DX last year, this year's big launch was somewhat ruined by tenacious web users who quite easily navigated their web naming convention to discover all the detail about their new �ber mixer xone:DB4. I'll be getting a full demo for you, but for now I've got some more pictures. 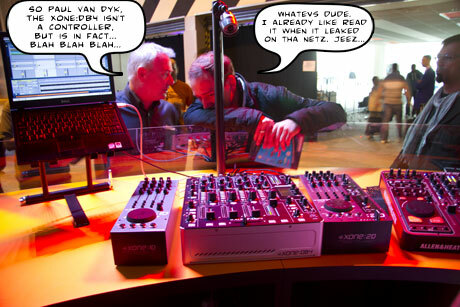 Vestax always have something up their sleeves. R&D is always labouring on the next big thing� or in recent times I should say small thing. For Vestax are now making their name in much smaller boxes, and BPM saw 3 such units make their first public appearance. The VCI-100 gets a sequel, the 2 channel mixer gets shrunk in the wash and Vestax's take on pocket sized controllers is to turn them into offensive weapons. Ordinarily, being a man of the people, I'd travel with the great unwashed on the train, but seeing as the difference between oik and posh class was just �30, I decided to make myself feel important and put just a few more quid in Richard Branson's pocket. Big Mistake. No bloody WIFI and a dodgy automatic door that opened and closed and opened and closed� but let me give you a very quick overview of the BPM 2010 show in general. Just got time before the BPM weekend techlust extravaganza to squeeze in a review. 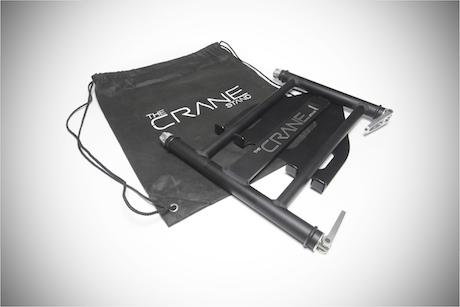 The Crane stand has steadily caught the attention of Scratch Live users, and can be seen in use by many of their VIP roster, as well as in the hands of an suitably happy buying public. Thus I fired off a mail to Crane HQ requesting a review sample. What I got back was considerably better than that, and you can read all about it in my review. And read on for an exclusive offer for BPM visitors and skratchworx readers. There's an undeniable logic to mini MIDI controllers. They're cheap, small and perform a specific function. So I'm quite sure that many people flocked to Akai's LPK25 and LPD8 when they came out. But I think those people who bought both are likely to be really pissed off with the above shot, for Akai have welded both units together to make one good one. Well they were good anyway, but this is just bigger. 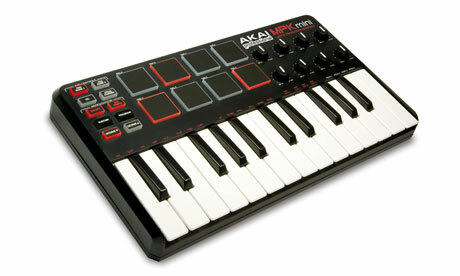 Say hello to the Akai MPK mini. The digital DJ is pushing the scene towards a highly simplified plug n play situation - turn up at the gig, plug your controller into your laptop and you're off. Numark's previous Mixtrack was almost there, but you also needed to source an audio interface (I hate saying sound card) to get any sound out of it. 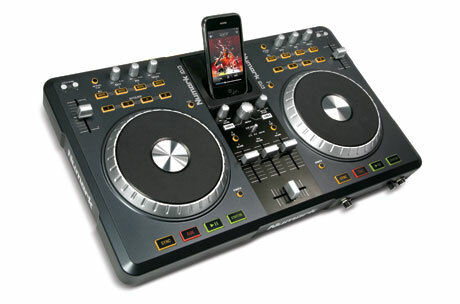 But now Numark have taken Mixtrack to its logical conculsion - wack in an audio interface and call it Mixtrack Pro. Numark have been busy early on in the year, spewing forth a serious amount of nextlevelness at Muskimesse. So having shot their digital load all over the scene, it's time to slow down a little and bring out a couple of useful and cost effective units aimed squarely at cost conscious DJs wishing to toe dip the digital realm. First up - is a unit I first saw turn up in the States a couple of months ago as an exclusive to a big chain. But now it's available on general release as iDJ3. RUMOUR UPDATE: Are Technics really over this time? Look - skratchworx prides itself on not posting stuff ahead of time, and also fact checking info before posting. But with different divisions of Panasonic telling different stories, I'm left with a mixed bag of yeses, nos and maybes. New Zealand and Australia seems to be the root of all rumours this week, and said rumours actually appearing to be panning out. The alleged official Japanese statement we've been holding out for seems to have surfaced. Allegedly. Like so many of you probabky still do, I listened to my years of Dj creations through regular hifi loudspeakers. Granted, they were nice Tannoy Eclipse speakers, but still lacked real clarity. And it wasn't until I got me a pair of Stanton ATM.6 monitors did I realise just how lacking loudspeakers can be. So I'm always interested when I read about new monitors, but I wasn't expecting any from Pioneer. 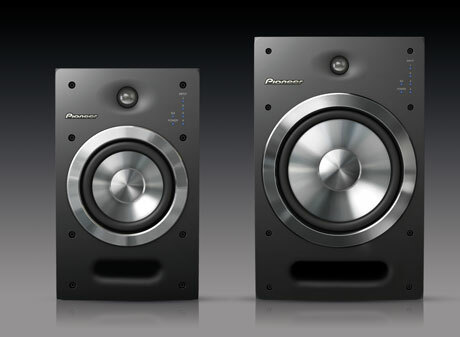 Making what I suspect to be the second of the 3 new Pioneer announcements for BPM are the S-DJ08 and S-DJ05 active monitors.